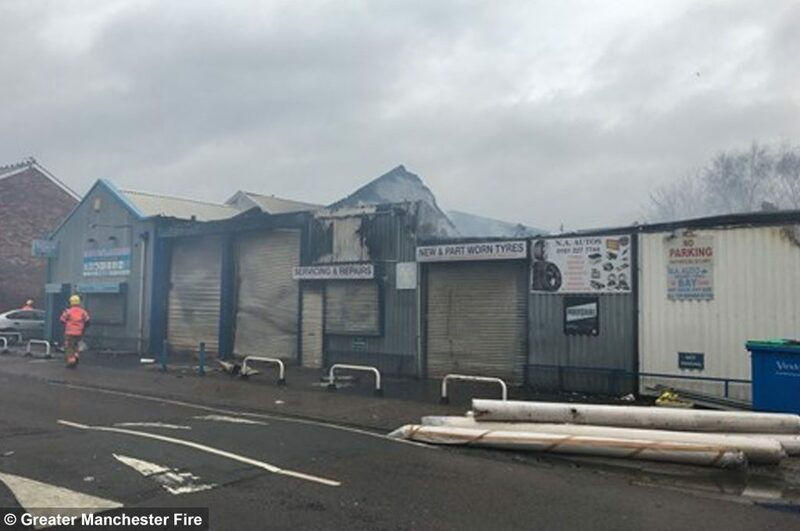 CORDONS have now been lifted – 12 hours later – following a large fire at a commercial building in Greater Manchester during the early hours of this morning (February 8). Firefighters were called to the scene in the Old Trafford area at around 5am after reports came in of a large fire in Darnley Street – as they arrived the building was already “well alight”. Crews set up cordons and closed the road, causing traffic chaos during rush hour in the city. People were asked to avoid the area and residents were advised to keep their windows shut. 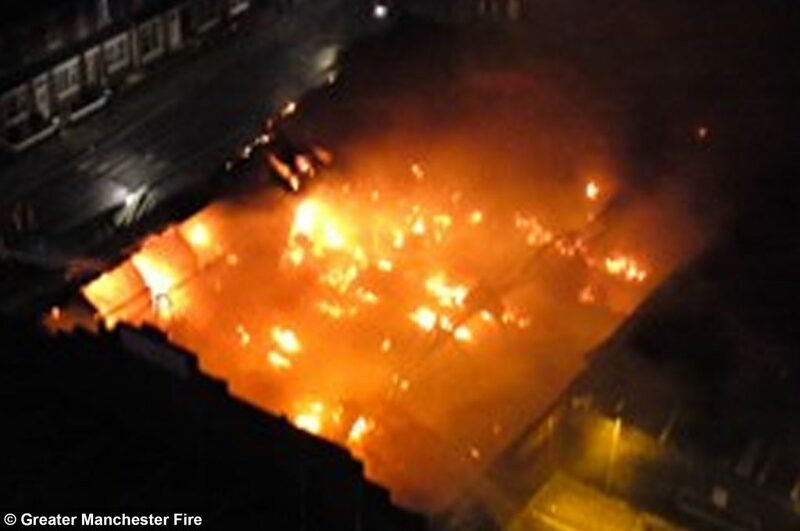 The large ‘fireball’ blaze in Greater Manchester which saw more than 40 evacuated from their Old Trafford homes. It wasn’t until 10am when units decided to evacuate 45 people from nearby homes and businesses after the fire was still being tackled by six crews and two aerial units. The fire, which is not being treated as suspicious, had calmed down by 5.45pm when all cordons were lifted and most of the 45 were allowed back into their homes. 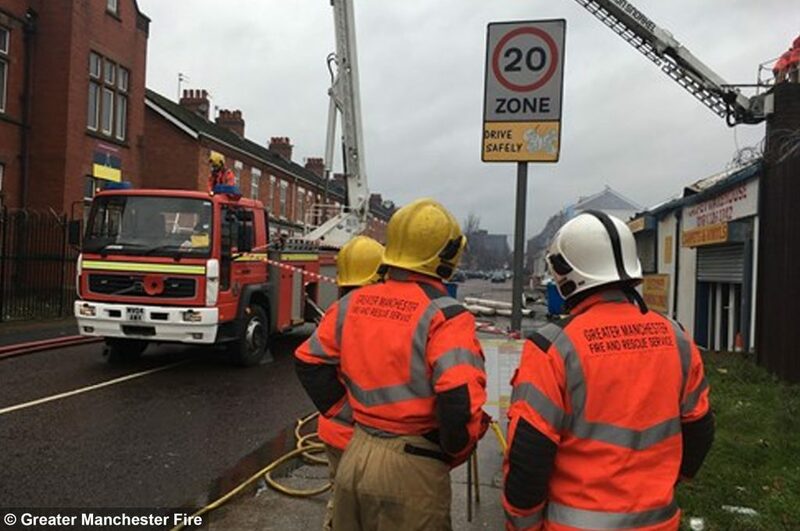 The local council say they are working with people who have been affected by the blaze which was described by a passer-by as a “fireball” to find them alternative accommodation if necessary. Councillor Andrew Western, leader of Trafford Council, said: “We have been working closely with Greater Manchester Fire Service to ensure our residents are kept safe and kept informed. “Our number one priority is the wellbeing of our residents. This is why we opened up a hub to people who were evacuated from their homes because of the fire. Firefighters still remain at the scene and will stay overnight as they continue to damp down the fire and make the area safe for members of the public. Two gas cylinders were found inside the property early on, leaving firefighters with the difficult task of keeping them cool to avoid explosions. Cllr Western added: “I would like to thank our Council officers who have been working tirelessly since the early hours to ensure the wellbeing of our residents.